Hey ever wondered if your dog is fast enough to compete with other dogs, lets find out with our highly skilled and compatitive dog racing. 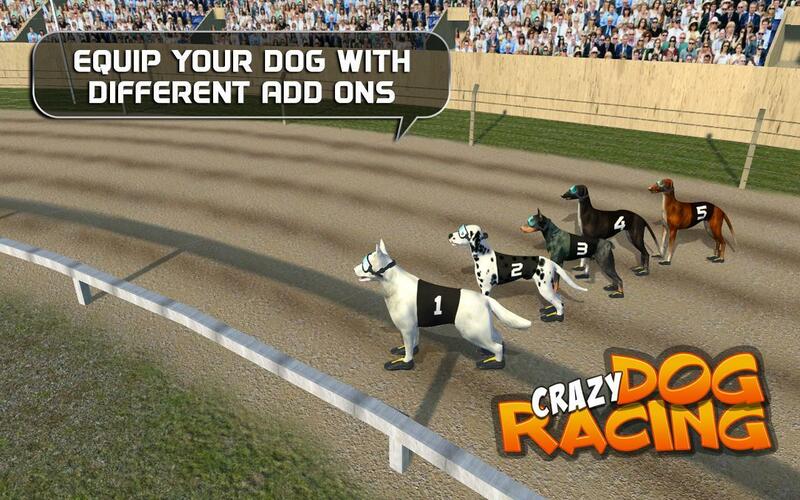 Crazy Dog Racing is a lapping game where you will have to tap to make it run faster and at the end of every race you will win points which will help you to unlock new fastest dog to win this amazing dog racing challenge. 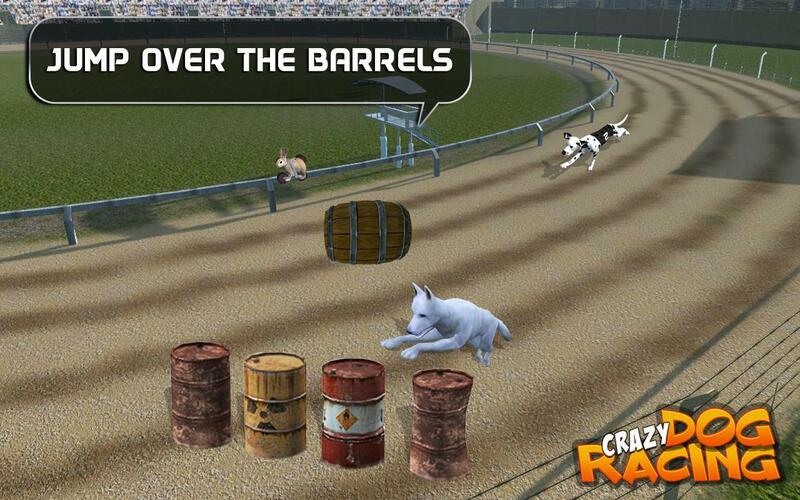 This is not just a simple dog race game, its simulation of profesional dog race, where a bunny is running infront of the dogs, and dogs have to chase the bunny with full speed and might. The dog that chases it first, wins the race. 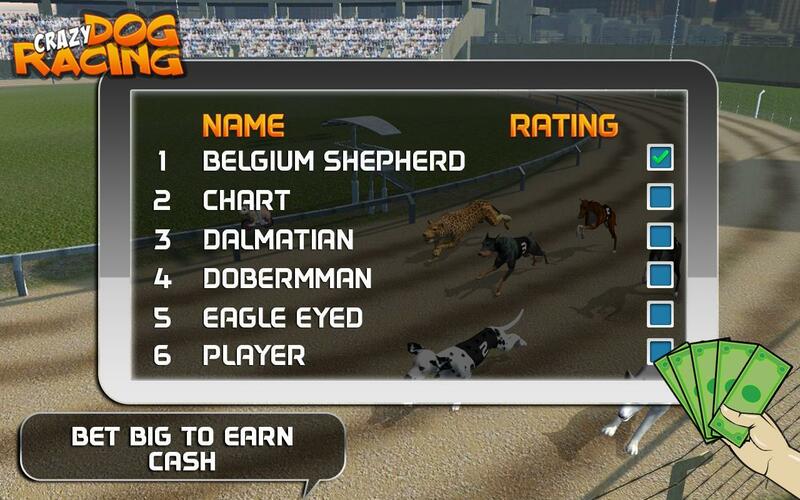 This top dog race game have two types of racing modes. 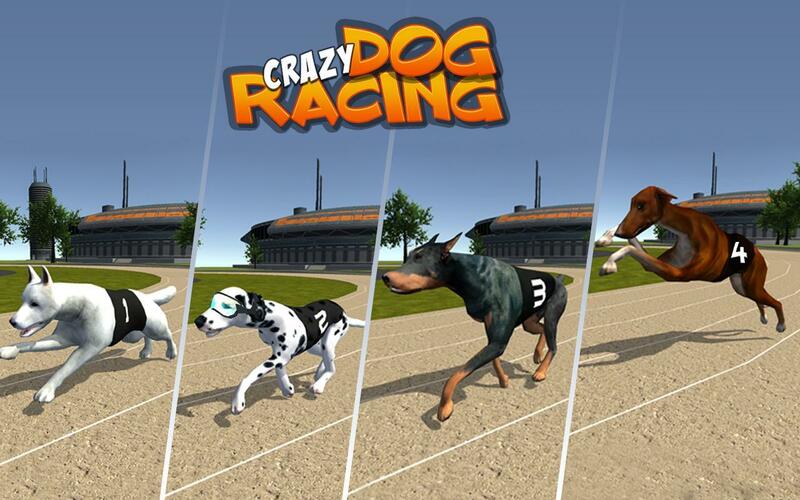 This is a complete tournament of dog racers, where you participate in knock out style game,the one who stays last, is finished from tournament. Tournament is just like other pro tournament like copa america and euro cup, where where your main goal is not to get knocked out. 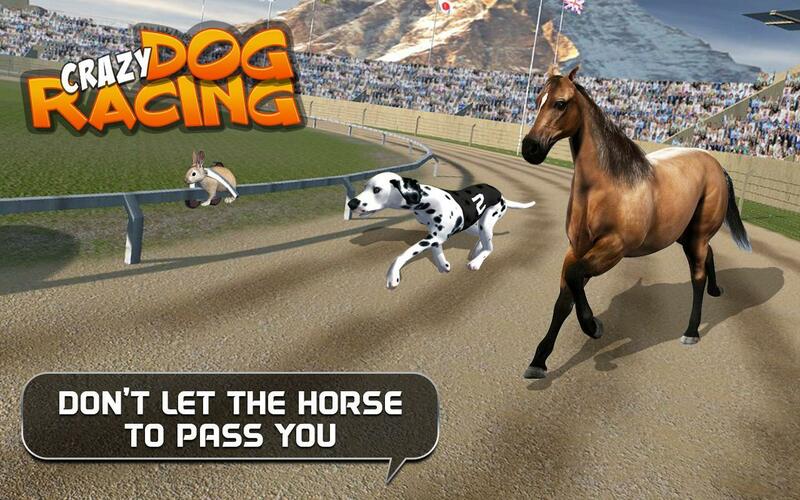 this is fun race for entertainment purpose, where you compete your dog against horse. 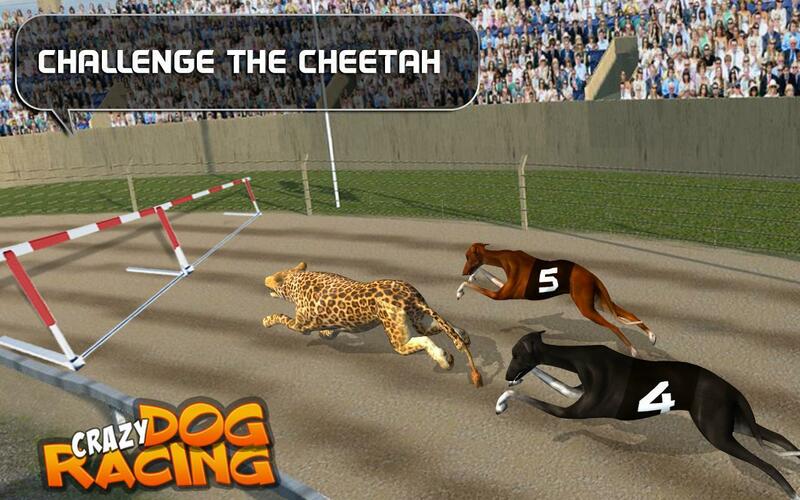 Funny dog elements are added to race with tiger, lets see who wins against dog. 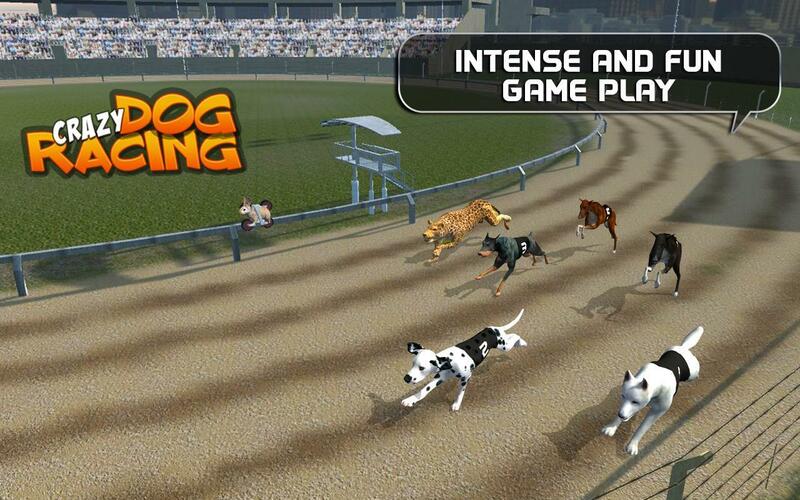 * Attractive 3D environment, where people watch this on going dog race. 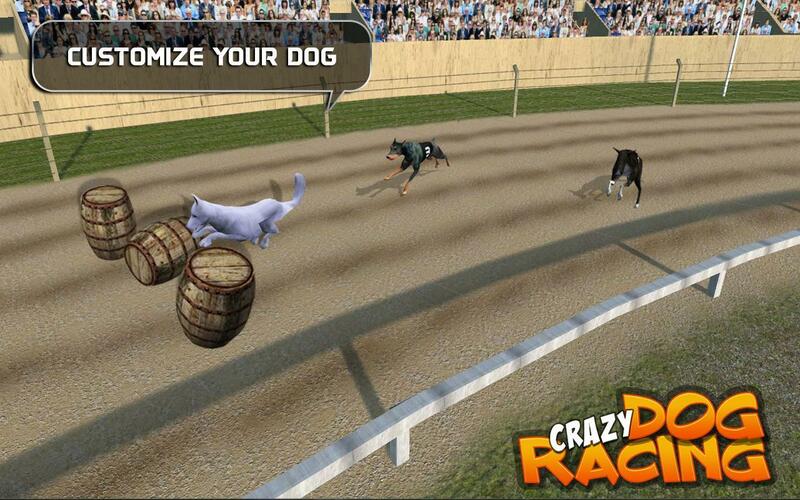 * Latest AI, Dogs AI is one of best against which you have to compete. * all dog breeds are present to chose the one you like most.